The socialist Khader El-Yateem has been defeated in his bid to win the Democratic primary for the City Council seat in District 43 in New York City. He was beaten the local machine crony Justin Brannan, 39% to 31%. 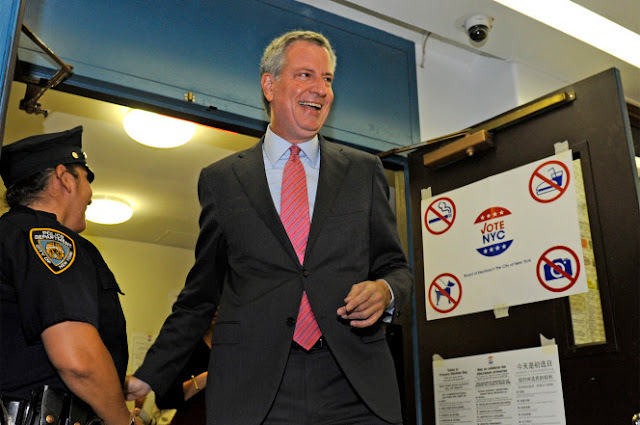 But, the super lefty mayor, Bill de Blasio, handily won the Democratic primary to return as mayor. He received Fidel Castro like numbers with 74% of the vote. He is expected to coast in the general election on November 7.